There's one good reason that any mixed martial arts enthusiasts should tune into TUF 13, and his name is Erik Paulson. Erik Paulson is one of Team Lesnar's assistant trainers on the show. He is the founder and head trainer of Combat Submission Wrestling, or CSW, based in Fullerton, California and arguably one of the most highly technical fighters to never fight in the UFC. Paulson is a former wrestler who holds credentials in several disciplines to include black belts in Tae Kwon Do, Jeet Kun Do, Brazilian Jiu Jitsu, and Judo. 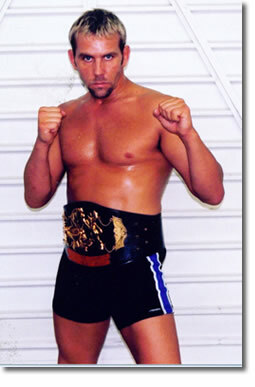 As a mixed martial artist, Paulson compiled a 11-4-2 record while competing from 1993 to 2007, during which he reigned as the Shooto light heavyweight champion for five years. However, Paulson is probably most notably known for his CSW system that he developed - a system that uniquely blends aggressive Muy Thai striking with potent wrestling and a ground game that emphasizes direct remnants of catch wrestling. I personally consider myself an ad hoc student of CSW via Youtube. I've followed the CSW system for years now through the internet (because I'm too cheap/poor to purchase the complete series). I strongly suggest that anyone looking to learn anything about MMA should look toward Erik Paulson and the CSW system. I plan to follow The Ultimate Fighter 13 for the sole purposes of catching glimpses of any Erik Paulson teaching moments, and hoping the season surpasses my expectations.